What Happens When an Employee Has Their Identity Stolen? There is a reason Willis Towers Watson believes 70% of companies will soon offer identity protection services to their employees. Is it because year after year, the number of data breaches skyrocket? Perhaps. Could it be the fact that 80% of working adults had their personal data stolen in just one attack? Maybe. But, more than likely, it’s because companies realize that when their employees have their identities stolen, they aren’t the only ones to suffer. The employees’ company also takes a significant hit, from increased disengagement to decreased profits. Luckily, there are steps your organization can take to protect your employees while minimizing the damages your company may incur. 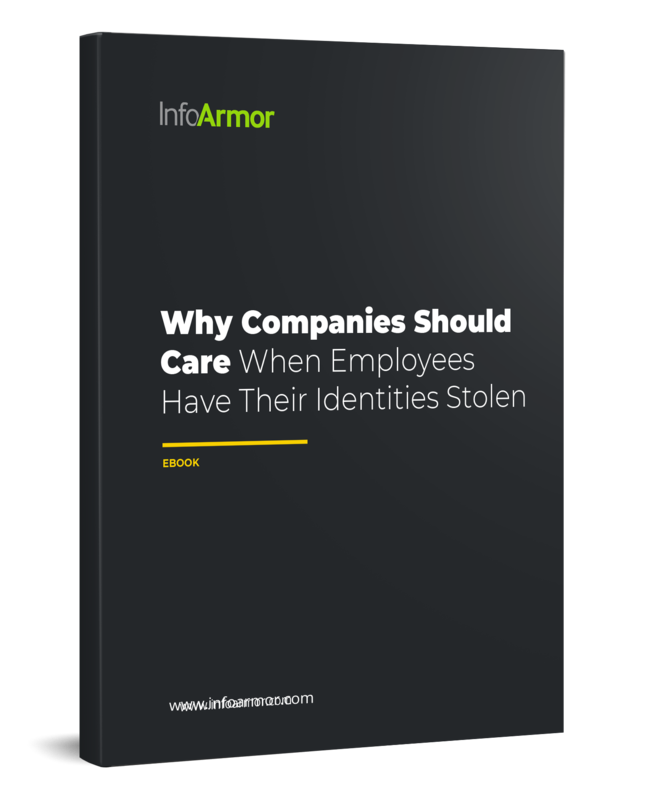 InfoArmor has you covered with our FREE eBook, Why Companies Should Care When Employees Have Their Identities Stolen. It’s packed with educational information and actionable steps an organization can take to protect their most valuable assets – their employees.